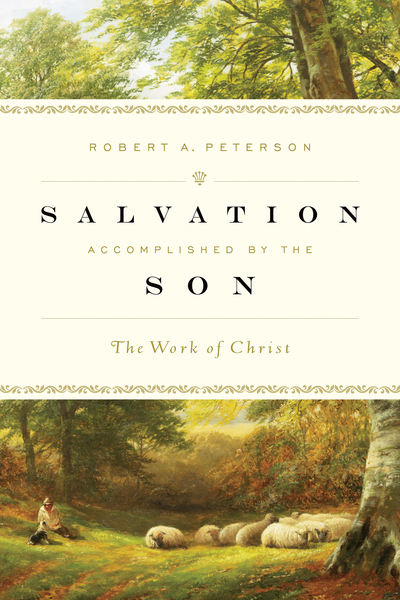 In this distinctive volume on the life of Jesus, Robert Peterson presents the biblical doctrine of Christ’s saving work in a fresh and comprehensive way. Peterson’s ability to explain the relationship between text and doctrine, to uncover connections that have eluded many others, and to organize the material in a way that makes it clear to seminarians and pastors and accessible to the layman, makes this volume a work to be noted. Peterson is as sound as they come, and his extensive preaching and teaching ministry enables him to make complex theological matters comprehensible to nonspecialists. Salvation Accomplished by the Son aims to glorify Christ by presenting the saving work of Jesus in greater scope than has previously been done, and to encourage Christians to worship and serve him. This book explains in detail what Christ has done to rescue us, both his deeds and the biblical pictures illustrating them. Offered here is a substantive, significant, and enduring treatise on a key Christian doctrine—the work of Christ.